The Campus CMPX538CD is a single urinal pod for duct mounted cistern and waste pipework. 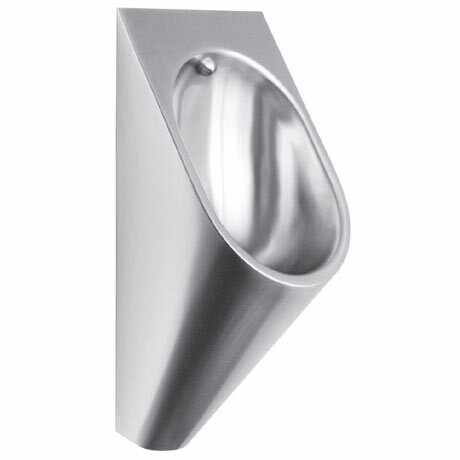 Constructed from 1.2mm thick stainless steel in a satin finish, the urinal features a 1/2" stainless steel spreader and hidden horizontal outlet towards wall. Includes trap, mounting bracket and domed waste.